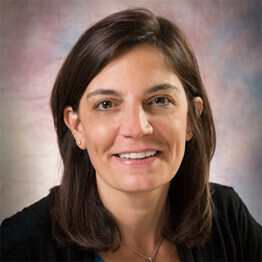 Dr. Debra Knapp was born and raised in New Jersey. She completed her undergraduate work at Ithaca College in upstate New York. She received a Masters Degree in Audiology from Northeastern University in Boston and a Doctorate degree from The University of Florida in Gainesville. She is licensed by the state of New Jersey as an Audiologist and as a hearing aid dispenser. She is a member of American Speech and Hearing Association. After working in ENT and hospital settings, she decided to become a business owner and go into private practice. She co-founded The Hearing Group with Dr. Hershon in 2004. Dr. Knapp has worked with a variety of patients that include the pediatric population, young adults, geriatric population, special needs patients. She is passionate about building relationships with her patients to understand their needs and determine the best solutions available to assist them with their hearing care. Her passion, plain and simple, is to help you achieve a better quality of life through improved hearing. Outside the office Debra enjoys spending time with her husband Andrew, her two daughters Katelyn and Alison and their dog Jasmine. In her free time, she loves reading, traveling and getting involved in her community.